Fraudscreen has acquired kokino-marvo, the boutique analytics and data modelling agency and appointed the company’s founder and MD, Andy Bolton to its board of directors. As demand for its risk, marketing and collections services grows, Fraudscreen has also opened a new Northern office in Otley near Leeds in a move to develop a new centre of excellence for analytics and to support its client’s data and analytics needs. An award-winning analyst and marketing specialist, Andy set up kokino-marvo in 2010 and has over 16 years’ experience spanning the unusual combinations of analytics, marketing, customer relationship management and risk. kokino-marvo clients include retail banks, financial services, utilities, telecoms, pharmaceuticals and healthcare companies Including Tesco, Lloyds Banking Group and the Co-Operative Bank. Starting his career with GE Capital in a client analysis and targeting role, Andy has held senior Marketing, CRM, risk management and collections roles for the likes of HBOS, Redcats, Otto and Cattles where he worked on brands, including Topshop, House of Fraser, Citroën, Warbutons, AOL and Freemans. Andy is also one of the founders of Leeds Data Thing, a new data community in Leeds, and a UK organiser of the global Big Data Challenge which runs Big Data events – focusing on the social, political, technological and commercial impacts of data. As a self-confessed analytics geek, this new role with Fraudscreen is my dream job – combining my love of data and analytics with my client relationship management experience in a leadership role. I’ll also be able to lead the development of new and innovative products to help tackle the very real challenge of customers taking opportunistic advantage of gaps in companies’ billing, claims and lending processes. Working across the key sectors of retail, insurance, banking, financial services, utilities and telecoms, Fraudscreen is a data-driven company which applies analytics to identify, predict and prevent first party fraud. This is an underlying behaviour that drives un-economic, opportunistic trading by consumers. kokino-marvo has built a strong reputation for the successful implementation of analytical solutions across multiple industry sectors. That knowhow is of great value both to Fraudscreen and our clients. With Andy, we also have the ideal person to help us maximise the potential of our data and analytical resources. 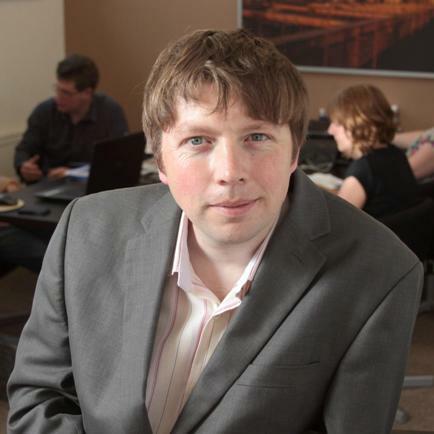 A Member of the Institute of Credit Management, and on the Institute of Directors Chartered Director programme, Andy is an Enterprise Ambassador for the University of Leeds and mentors MBA students on entrepreneurship.